A TIRED, but happy, group of Penrith Swimming Club members returned from Kendal after winning the chairman’s gala. 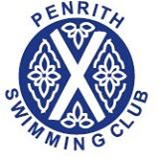 In an exciting event, Penrith achieved a total of 260 points, beating off a late challenge from Carnforth by 12 points. Other teams competing were Grange, Maryport, Kendal and Appleby. What was particularly heartening from Penrith’s point of view was the contribution by all team members. They won a total of 16 races and, although Carnforth won 21, Penrith’s strength in depth saw them home. The success is the result of much hard work by swimmers and coaches over recent months.